Welcome to Bethville! : Steve Martin is a Terrible Historian! Steve Martin is a Terrible Historian! 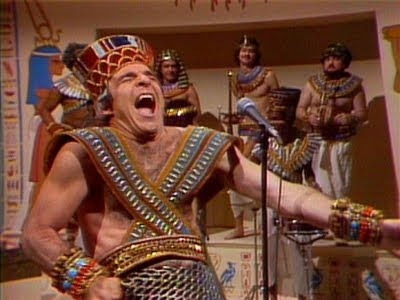 Steve Martin on King Tut. It requires no further description. He is an unappreciated comic genius. And a great banjo player. @Dingo: YES. All of those things and more. Steve Martin Is a Dirty, Rotten Scoundrel! Steve Martin Is a Terrible Waiter! Steve Martin Is a Terrible Dentist!